Everybody loves to smile, but lately you’ve been hating it because of the state of your teeth and gums. They are a mess, especially your receding gumline. You’re absolutely certain your smile looks more like a jack-o-lantern’s grimace than a genuine expression of warmth. You don’t need to clamp your mouth shut forever, but rather take a stab at a few methods that may help you regrow gums. 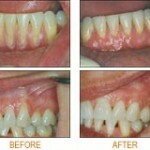 Gum disease is the leading cause of extensive of gum damage. Feel fortunate that you found out the problem before you developed things like loose and sensitive teeth. If you already have sensitive or loose teeth, don’t waste any more time. Get yourself back to your dentist to get help with your receding gum problem. It’s always helpful to walk in with some knowledge of the receding gum treatments. Brush and floss daily. Keeping your teeth clean is the first step to keeping your mouth healthy. Gentle brushing removes plaque on the surface of the teeth and flossing does the same in the little dark pockets between them. 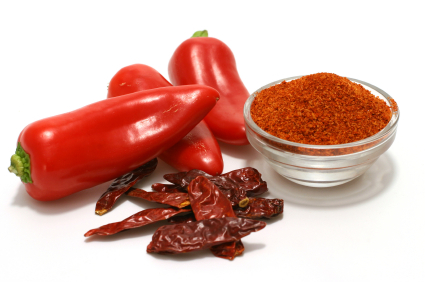 Brush with cayenne pepper. This practice is supposed to stimulate the gums and help them rejuvenate themselves. Start small, with a teaspoon or less of the stuff on your brush. Add more as you get used to it. Don’t just pile on a dollop unless you wish to vomit in the sink. Brush with a peelu stick. Peelu, also known as miswak, is a stick derived from the roots of the Arak tree. It has been used as a natural toothbrush not only to enhance spiritual health but to keep teeth and gums health and refreshed. Get a peelu stick at imported food specialty stores or buy one online. There is an Indian folk (Ayurveda) remedy, known as oil pulling, that has helped many people avoid gum surgery, and improved receding gums – even helped them regrow lost tissue. Take one tablespoon of sesame oil and place it in your mouth. The oil pulling to treat receding gums (or any other disorder) should be performed first thing in the morning, before breakfast, and on an empty stomach. Repeat the oil pulling process up to three times per day, for 10-20 minutes each time, to speed the healing of receding gums. Get scaling and root planing. Ask your dentist if this is the right treatment for you. 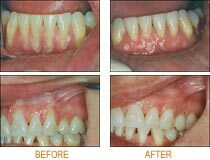 Scaling and root planing is basically a deep cleaning above and below the gumline that scrapes off plaque and tartar. Yes, it will probably be uncomfortable, but it will also get rid of all that bacteria and smooth the teeth so gums can reattach themselves. Most periodontists would agree that after scaling and root planing, many patients do not require any further active treatment, including surgical therapy. However, the majority of patients will require ongoing maintenance therapy to sustain health. Non-surgical therapy does have its limitations, however, and when it does not achieve periodontal health, surgery may be indicated to restore periodontal anatomy damaged by periodontal diseases and to facilitate oral hygiene practices. Limited research suggests that the use of lasers as an adjunct to scaling and rootplaning (SRP)may improve the effectiveness of this procedure. In addition, when the lasers are used properly during periodontal therapy there can be less bleeding, swelling and discomfort to the patient during surgery. However, each laser has different wavelengths and power levels that can be used safely during different periodontal procedures. Damage to periodontal tissues can result if an inappropriate wavelength and/or power level is used during a periodontal procedure. Take Periostat. This drug, approved by the FDA in 1998, is usually used in conjunction with the scaling and planning to further the rejuvenation of receding gums. Periostat is known to help stop the destructive action of the enzyme that attacks teeth and gums. Again, ask your dentist if this is the right treatment for you. Soft Tissue Graft—this involves taking gum tissue from other parts of the mouth (e.g. the palate or healthier parts of the gum), placing it over the exposed places and suturing them in place. This procedure is quite easy on the patient. It requires only mild painkilling treatment and lasts for a lifetime with proper care. Bone Grafts—exposure of the root can lead to atrophy of the jawbone as a result of bacterial infection. Bone grafts can grow back the bone, making it easier to hold teeth and gum. Bone tissue can be taken from the jaw, hip, or tibia and placed in the jawbone. Special membranes are inserted to protect it and assist in bone regeneration. Prevent further erosion of the gums by being gentle while brushing. Some deterioration can be exacerbated by harsh brushing that pushed the gums away from the teeth.